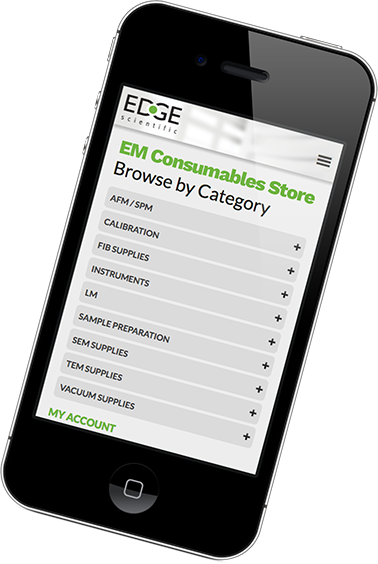 The comprehensive range of EM-Tec FIB supplies for all brands of FIB/SEM systems include a wide choice of FIB lift-out grids, FIB lift-out grid storage boxes and FIB lift-out grid holders. 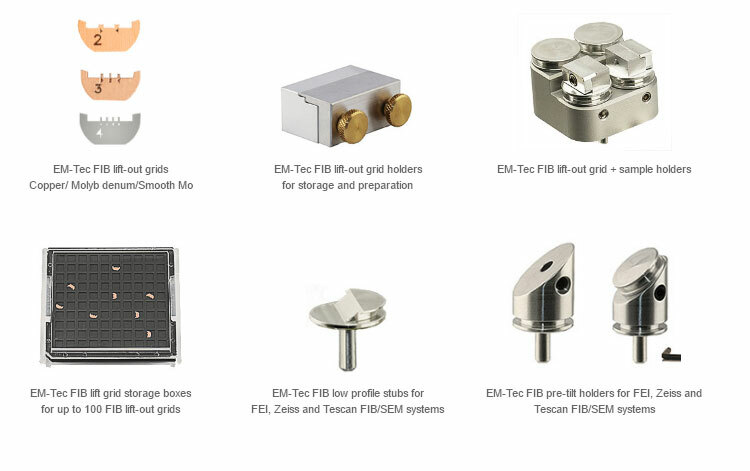 Additionally, the compact combined FIB lift-out grid + sample holders places sample and FIB lift-out grids close together for efficient FIB lift-out operations. Both sample stubs and FIB grid holder can be rotated and height adjusted for optimum FIB lift-out operations.